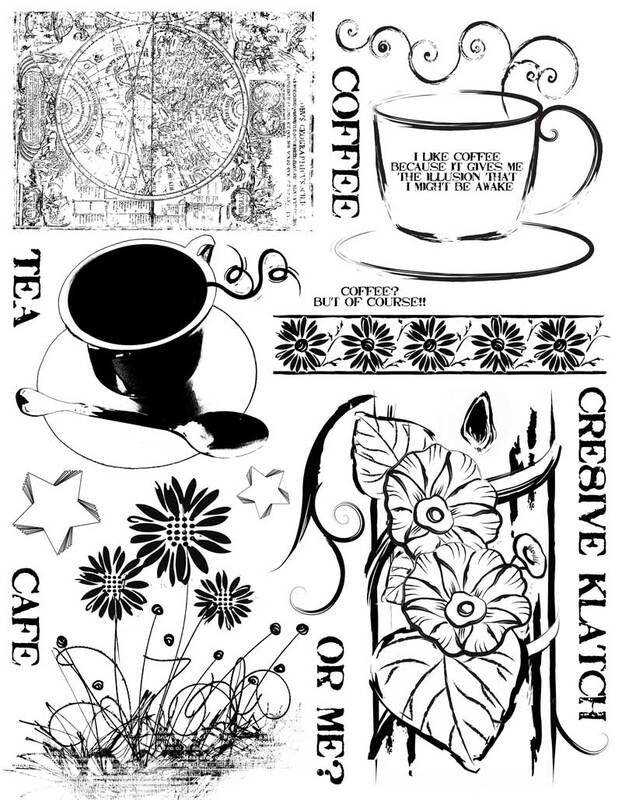 This red rubber stamp set contains coffee cup images and related words and phrases. 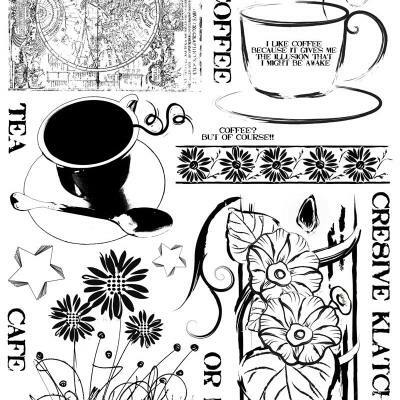 There is also a morning glory image, and some floral borders, as well as a map that is ATC sized. 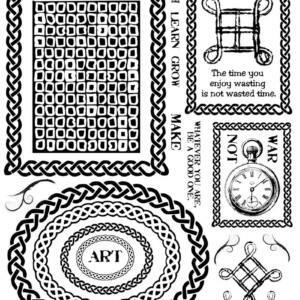 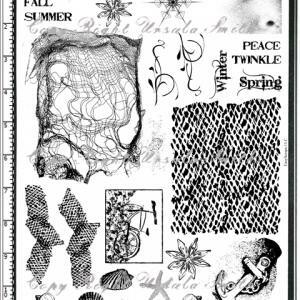 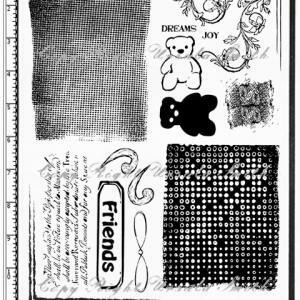 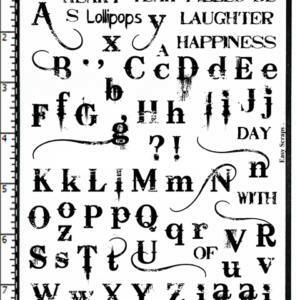 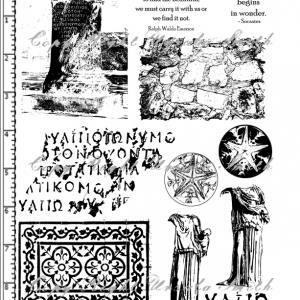 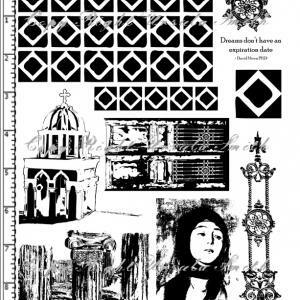 Use these in your all occasion cards, journals, scrapbooks and other mixed media projects.